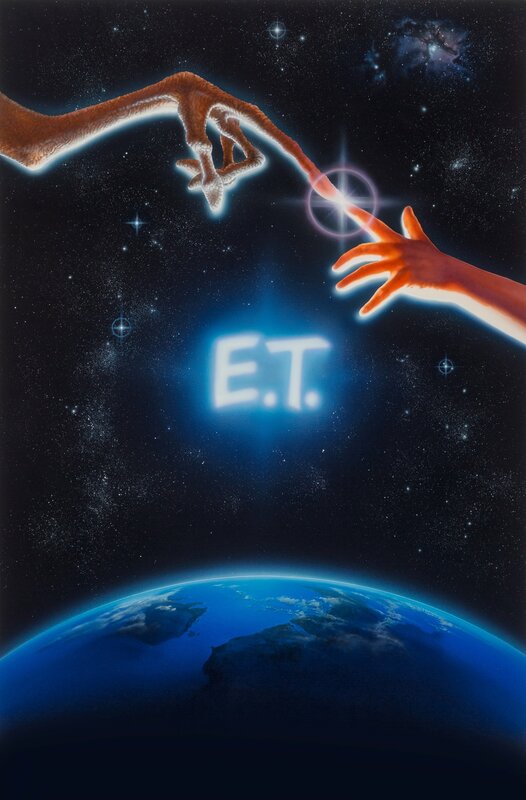 The Original Promotional Movie Poster Painting for E.T. The Extra-Terrestrial sold for $394,000 at Heritage Auctions. The art was produced by esteemed movie poster artist John Alvin, who used his daughter’s hand as a model and taking inspiration from Michelangelo’s The Creation of Adam. This iconic painting was used on the initial release poster in 1982, and has been used to promote the film for nearly 35 years on posters, DVD and VHS box covers, lobby cards, T-shirts, and many more collectibles, making that $394,000 price seems like a true bargain to me! Amazing. It’s a great testament and boost to a flagging memorabilia market. Nostalgia in pop culture remains strong and is, I would argue, the main driving force for collectibles. To boot, that’s a fantastic piece of art. Would be amazing to own that. My all time favorite movie!